The book tells the incredible adventure of an unwanted, insecure two-year-old colt who, sadly is heading for the auction barn. Due to the impeccable timing of events, a human would enter his life and together, they would overcome his fears and injuries to become the “One Eyed Wonder” and a legend in the Arabian Racing World. “This is truly a ‘Cinderella’ kind of a horse story to be enjoyed by everyone who loves animals. It shows readers how the love and trust that develop between a horse and a human can overcome almost impossible obstacles. There are heartbreak and sadness in the storyline as well as extreme highs and happy, exciting moments,” Jagoda says. “Magna Terra Smoky” shows readers how it was very close for a talented and exceptional horse came to have his life ended at an auction barn. Smoky is a living proof of what a little luck, love, patience and determination can produce. “Horse racing has had some bad raps, but there is still a lot of good people in the sport who genuinely care for their horses,” Jagoda adds. 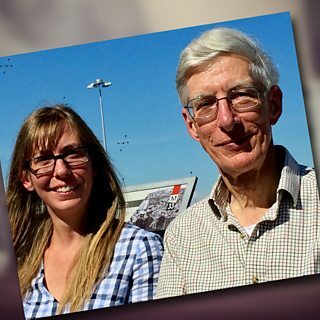 Barbara Jagoda is a retired science schoolteacher and racehorse trainer who now works part time as a test administrator for a global company. During her university years, she enjoyed working as a wrangler at Cheley Camps, located near Estes Park, Colorado where she developed a fond rapport with her assigned horse, Pearl. Upon graduation and receiving her first paycheck as a new teacher, she immediately purchased Pearl as the first of her long string of equine companions. During the 1970s and 1980s, she went on to enjoy many years as a competitor in North American Trail Ride Conference (competitive trail riding) and later served as a judge for these events. Brandy (registered name of Sheiks Scimitar) was a favorite mount during these years and the two made a formidable team. In later years, she also competed in American Endurance Ride Conference (endurance riding) on another favorite horse, Roc-et Arapaho. Over the years, she has rescued and rehabilitated over a dozen horses either from auction houses or from homes where she discovered starving horses. 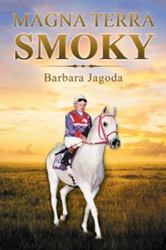 She currently resides and enjoys living on a small ranch outside of Colorado Springs, Colorado where Magna Terra Smoky and a number of his friends enjoyed their lives after retirement from racing. Sadly, Smoky passed away in 2016, one day short of his 30th birthday. His best friend, Aurzel, and her latest rescue horse named Red currently enjoy the acreage and freedom this land provides. Infrared thermography (IRT) may be a useful non-invasive tool to assess physiological stress in endurance horses, according to researchers, who suggest it could prove useful in helping vets decide whether horses are fit to continue. Veronica Redaelli and her colleagues carried out a pilot study in Italy to see whether IRT could be used as a stress indicator in horses trained for the long-distance discipline. Their findings were encouraging, prompting the study team to suggest that further studies should be conducted at vet checks during endurance competitions to learn whether eye temperature and the temperature at the crown of the head could help vets decide which animals were OK to continue. Is the ointment you’re using on that cut helping or hurting? Remember these tips when treating horse wounds. Damascus (AFP) - A shadow of her former self after years of war, 11-year-old Arabian mare Karen stands quietly as a Syrian vet gently pushes a syringe into her pale grey neck. "Karen used to be the beauty queen of all horses," says the vet, Ahmad Sharida. "I know her very well. I was the one who brought her out of her mother's belly," says the vet, a stethoscope hanging around his neck. Two friends share their deep love of travelling long distances on horseback. 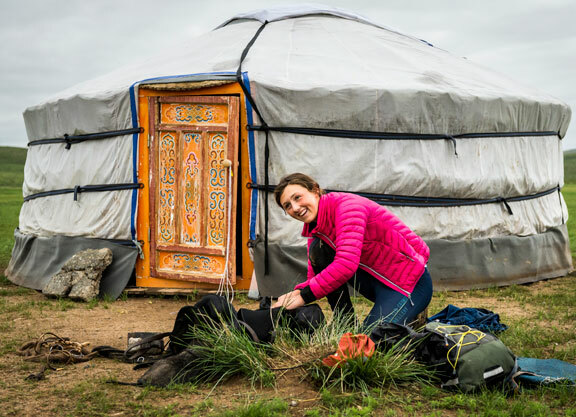 This was 19-year-old Lara Prior-Palmer’s revelation after a day spent poking around Google for inspiration in June of 2013 led her to the application page for the Mongol Derby. It was seven weeks out from the world’s longest and toughest horse race, most of the other 40-odd riders had been training for a year, and she didn’t have nearly enough money to cover the entry fee. Yet, there is something intensely captivating about that far off, wild landscape and its horses and people, and so, wildly unprepared, Lara hit the big red ‘apply’ button. I can attest to that feeling of wonderment and that urge to recklessly dive in head-first despite the odds of success-or even survival–looking incredibly unlikely; four years after Lara, it was me clicking that apply button, despite having never in my life camped or used GPS navigation, and having not been on the back of a horse in three years. Hell, I didn’t even know if I still enjoyed or was capable of riding, but something about the very thought of the Mongol Derby is absolutely intoxicating.